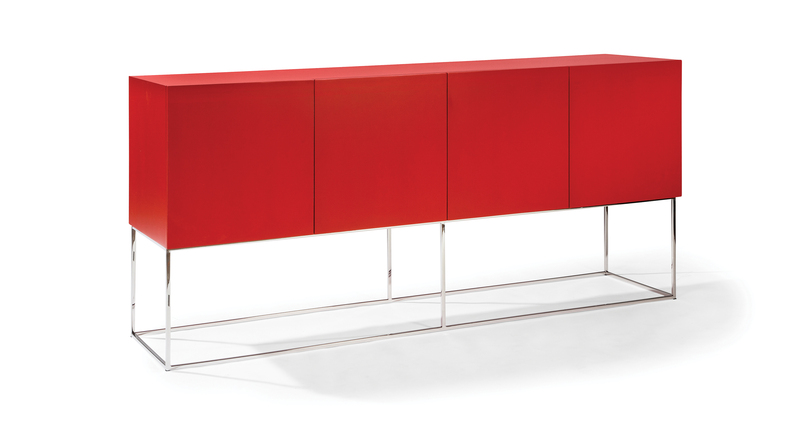 Our Colours buffet/credenza is a timeless modern classic. The versatile Colours sideboard is available in any Sherwin-Williams/Benjamin Moore semi-gloss paint color. Must specify. Polished stainless steel legs are standard. 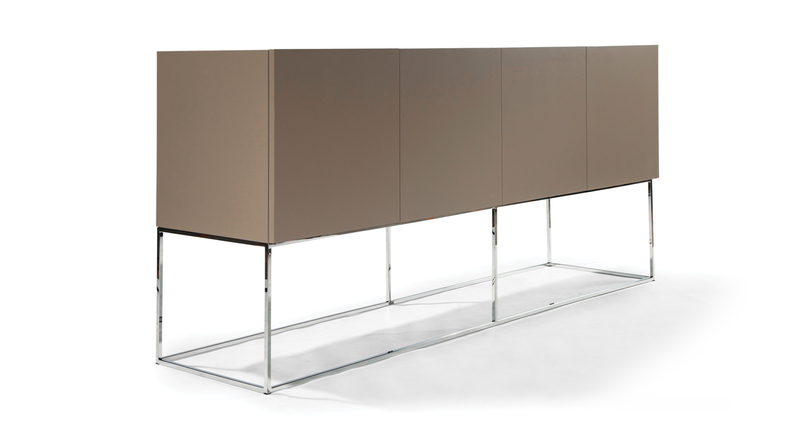 Also available as a hanging unit without a metal base as No. 1350-46. Maple wood case available in any Sherwin-Williams/Benjamin Moore semi-gloss latex color. Must specify. Base: polished stainless steel.